Who doesn’t love a parade! Girl Scout troops love marching in parades. It’s a great way to learn about citizenship, serve the community, and have fun! These Juniors from Arlington, VA, Troop 315 are suited up and ready for the 1990 Old Town Alexandria George Washington Birthday parade, the oldest parade in the United States honoring our first president. 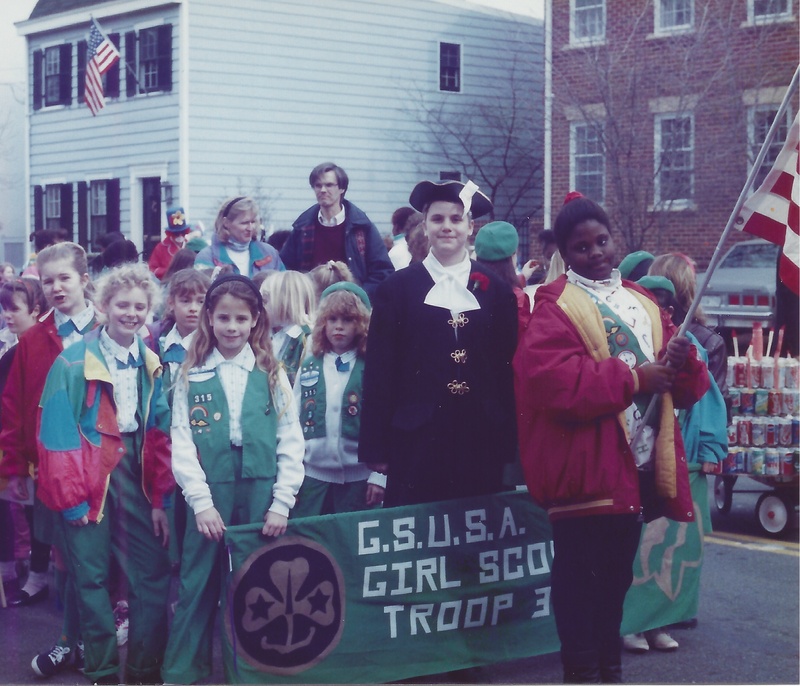 Arlington, VA, Troop 315 readies for the 1990 Old Town Alexandria George Washington’s Birthday Parade.